Orchids are very beautiful and delicate flowers, but they can be difficult to grow because they are temperamental by nature. They require a loose potting material to grow properly and stay upright. There are premixed varieties of potting materials for orchids, but you can learn make your own if you want to save a bit of money and customize your potting to your watering habits. Once you have learned the basic idea, you can re-create it in any amount you like to keep it on hand or plant several orchids with one batch of potting material mix. If you prefer to mix a few types of potting media, use charcoal, fir bark and peat moss. All three are loose materials that will allow for a very small amount of water storage for the orchid, but mainly they will hold the plant in place without "packing" it in too tightly. Use 1 cup of both medium-grade charcoal and peat moss mixed with 6 cups of fir bark. Mix the materials together loosely with your hands, and gently pour it into the pot. Do not pack the materials down around the plant. Simply place them in a way to hold the plant steady. Several types of potting mediums work well for orchids. The difference between them is water retention. If you frequently forget to water your plants, or if you are worried about dryness for any reason, use peat moss or fir bark chips because they hold on to more moisture than other potting mediums. If you are more worried about overwatering than drying, use a medium like clay pellets or rock wool because they dry quickly and will keep excess water away from the plant. If you are not worried about either overwatering or underwatering, use any of the potting mixtures you choose. Try a few and see which one you like best. The most common mediums for orchids, besides those already listed, are fir bark chips, redwood bark chips, osmunda fiber, tree fern fiber, coconut fiber, coconut chips, sifted perlite, granular charcoal and cork. Use a combination of any of the mediums you like, or use them individually. 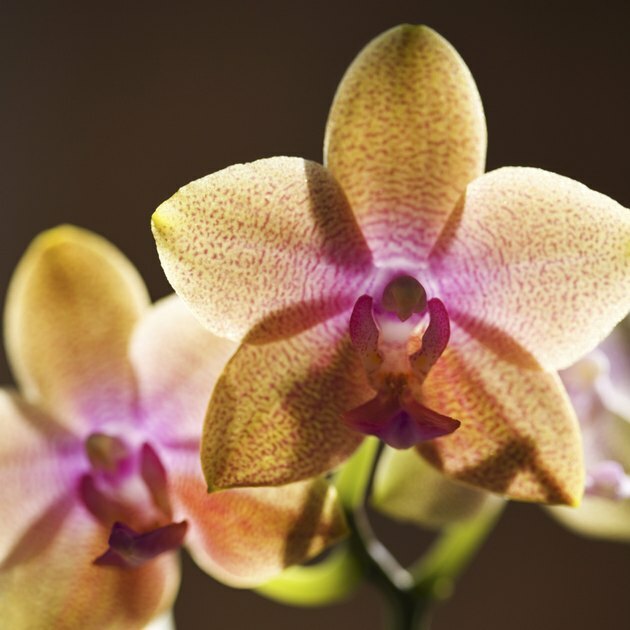 The main goals for potting orchids are proper irrigation, water retention control, and support. When Are Charcoal Briquets Too Old to Use?